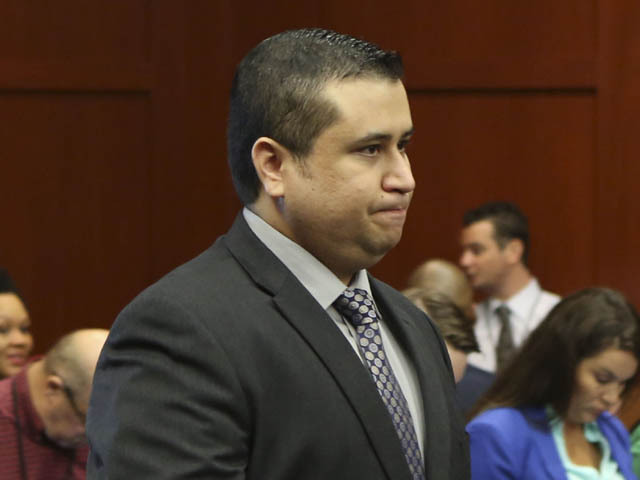 (CBS) SANFORD, Fla. --The jury will not be able to consider a lesser offense of third-degree murder as they weigh the fate of accused murderer George Zimmerman, a judge ruled Thursday. Zimmerman, 29, is charged with second-degree murder in the shooting death of Florida teen Trayvon Martin. The proposal from prosecutors to include the lesser charge in jury instructions drew outrage from defense attorney Don West in the courtroom Thursday morning. West said prosecutors hid their intent to introduce the lesser charge, premised on the idea that Zimmerman committed child abuse when he shot and killed Martin, 17. He called the proposal "outrageous." "Just when I thought this case couldn't get any more bizarre, the state is seeking third-degree murder based on child abuse?" West said. Initially, prosecutors said they planned to ask for a lesser charge of aggravated assault, which said they no longer plan to pursue. A judge earlier ruled that a jury will be able to consider a lesser charge of manslaughter as they weigh the second-degree murder charge against Zimmerman, a former neighborhood watch captain. Manslaughter in Florida is defined as "the killing of a person by the act, procurement, or culpable negligence of another, without lawful justification." For a second-degree murder conviction, the jury must decide the state has proved Zimmerman had a depraved mind regardless of human life, while a manslaughter charge references a reckless disregard of human life. The panel of six women is set to return to hear closing arguments from the prosecution. Both prosecutors and defense attorneys have rested their cases, and testimony spanned about two and a half weeks. The defense wanted the jury to only consider the second-degree murder charge Zimmerman faces as well as a not guilty verdict, and not lesser included offenses. "[Zimmerman's] position is the state has charged him with second-degree murder, they should be required to prove it," West said." If they can't prove it, that's a failure of the prosecution." A second-degree murder conviction carries a maximum sentence of life in prison. A manslaughter conviction in a case involving a firearm carries a maximum sentence of 30 years.